Mourners have started gathering at the Jack Botes Hall in the Polokwane CBD, where Thoriso Themani‘s funeral service will be held shortly. The 27-year-old was brutally attacked, allegedly by a group of teenagers at Flora Park in Polokwane last weekend. He died in hospital. The attack was filmed and the video has gone viral. 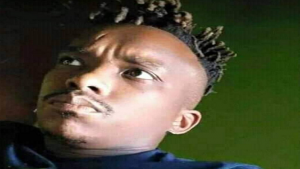 The incident has sparked outrage, and a march under the #JusticeforThoriso was held on Friday. The post Themani to be laid to rest appeared first on SABC News – Breaking news, special reports, world, business, sport coverage of all South African current events. Africa's news leader..